As women, it is true that we like to be pampered. Every once in a while we need a beauty pick-me-up, and what better way than by going to a salon? We all have an excuse to get our nails done, maybe for a wedding, or an interview, or even just to have pretty hands. But have you ever wondered why salon workers wear gloves and face masks while tending to your needs? I can assure you, it doesn’t so much have to do with your nail hygiene, but more so with toxic chemicals in the products. In California, nail technicians have finally figured out why their coughs are relentless and why cancer rates were increasing, but the EPA no longer recognizes this as an environmental justice issue, and that is a problem all in itself. According to a 2017 story by Julia Carrie Wong for The Guardian, within nail products there are three main toxic chemicals that are causing these health issues. 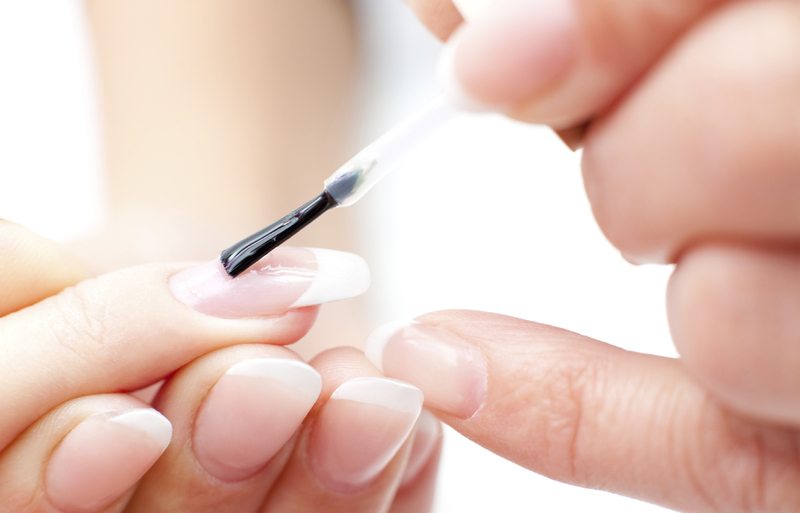 They include: dibutyl phthalate, toluene and formaldehyde. It is easier to buy products with these ingredients because it is cheaper to do so. The Guardian revealed how a nail technician in San Francisco, Van Nguyen, was noticing a cough and a rash, while being pregnant. Her doctors informed her that the chemicals she works with are dangerous. Van decided not to stop working because she needed the money. It led her to have two miscarriages. Many technicians in the San Francisco area are Vietnamese immigrants who came to America for better lives. Many ignore the health issues they are experiencing because they can’t afford to miss a day of work. This is a problem not only across the U.S. but close to home, as well. Here in Massachusetts, in 2007, only 11 percent of chemicals used in the Boston area were listed with the FDA. Asian Health Services began making rounds to salons in California. They found that every single worker had a health issue. The EPA awarded grants and loans to salons to help them pay for new products. The EPA also worked with nail salon workers to create a Practical Guide to Protecting the Health of Nail Salon Workers. The checklist informs salons of the safety equipment to be used and how to educate other workers on the chemicals they’re using. After implementation, many workers have noticed a decrease or a stop in their coughs, rashes, cancer rates, and other health issues. But now the real issue strikes. Under Trump’s administration, this issue has not been taken seriously. They have cut funding completely for the nail salon grants and loans because this is, as Wong states, “completely unrelated to environmental justice.” I argue that this is not only a public health issue, but also an environmental justice issue that disproportionately impacts the women working in salons. But has the administration ever wondered where these toxic products are made and disposed? Further, these chemicals are made in factories and chemical facilities. Released into the atmosphere, these chemicals are toxic to all. The administration sees this as a beauty issue, and in a world run by men, we women are the ones to suffer for beauty. How serious do health issues need to be for our government to put a stop to the production and consumption of harmful toxins. This as much an environmental justice issue as any other with increasing cancer rates, birth defects, rashes, etc. Most of these side effects are similar to that of environmental justice issues in places such as Flint, Michigan, Woburn, Massachusetts, and others; however, the toxicity of salon conditions is given little attention. Women are breathing in these toxins, and once used and disposed of, the chemicals rest in the crust of our earth. As women, it is right and fair to expect safe, healthy working conditions. The women who brought the attention of this issue to the EPA had social barriers, such as language, class, and race. They initiated response and gained good outcomes for their safety, but now this safety has been diminished. As an environmental studies major and having a concentration in business and policy, I see where budget cuts are needed, but the safety of workers should come first. I fear that if we retain this vision of our world as one big business operation, we will lose sight of what really has significance, which is the well-being of humans. Is this the environment in which we want to raise our children? I hope that one day soon the government will realize the harm we are indirectly causing our people and reinstate the EPA funding to salons. I hope that the environment and public health issues are managed well, and I hope that future generations can live peacefully in a breathable environment without wearing face masks and oxygen tanks attached to their hips.